In this electrifying debut, Tahereh Mafi presents a world as riveting asThe Hunger Games and a superhero story as thrilling as The X-Men. Full of pulse-pounding romance, intoxicating villainy, and high-stakes choices, Shatter Me is a fresh and original dystopian novel—with a paranormal twist—that will leave readers anxiously awaiting its sequel. I was already dying to read this one..and after your review, I've been resurrected and I am dying all over again to READ THIS BOOK!! I'm glad it was amazing! 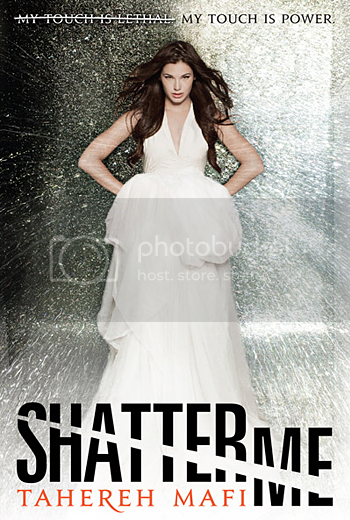 Yay, glad to hear Shatter Me is amazing, because I. Am dying. 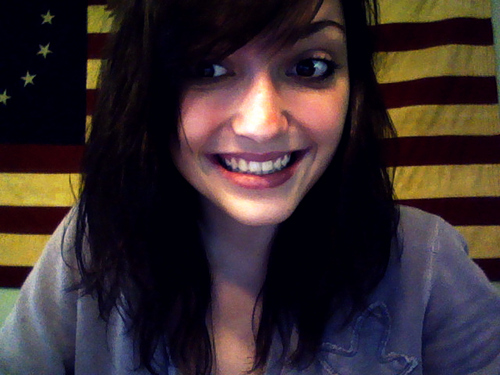 For it to COME. OUT!!!! Ok, you totally have me DYING to read this! So many awesome reviews around... if only I had a copy, I'd probably be reading it right now! I hope the cover is good! Ok, you've totally convinced me to read this book!! I got a copy of it this weekend. I might have to put down Scorpio Races and pick this one up instead now! AGREED! I 100% agree with you about Shatter Me. It is incredible and fantastic and Tahereh Mafi blew my mind. I read it, then reread, then reread so many parts. In fact, I may go reread some right now because you made me miss it. And yeah, I love Adam too. I'm with you about the tattoos - they make him even more attractive. But then, I find Warner to be very attractive as well. I'll admit it, I like Warner even more than Adam. Now tell me that's not messed up? Oh Jeez. Now my expectations are HIGHER. WAY HIGHER. Now that's what I call a great review! Even though the storyline sounds a little sad, your review has convinced me of her fabulous ability to take you into the story - now going on my TBR! I've already read Shatter Me and I swear this article sums up all my thoughts about this book. Tahereh Mafi is absolutely amazing and anyone who says differently is a stuck-up loser. I know there will be bad reviews for this book but I hope the positive comments on it will help make up for it. Most of those reviews will be written by 80 year old professors who think they know good books and what teenagers like, sadly they will fail to see the amazing words of Tahereh Mafi and give her a bad review. All we can hope for is that after grandpa sees the reviews people who this book is made for write he will change his mind and give MIss Mafi the fabulous reveiw she truely deserves. I happened to get a copy of this book before it came out and may I say it is absolutely amazing and the author even more so. anyone who can weave such a wonderful story deserves a special award. Tahereh Mafi is without a doubt my favorite author, and her book is the BEST book I have EVER read.